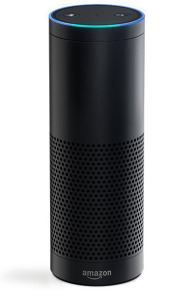 We are pleased to announce that we have released an Alexa Skill for Hebcal for users with an Amazon Echo device. Alexa, ask Hebcal when Shabbat starts. Alexa, ask Hebcal for candle lighting times in 02906. Alexa, ask Hebcal for the Torah portion. Alexa, ask Hebcal when is Chanukah in 2018? 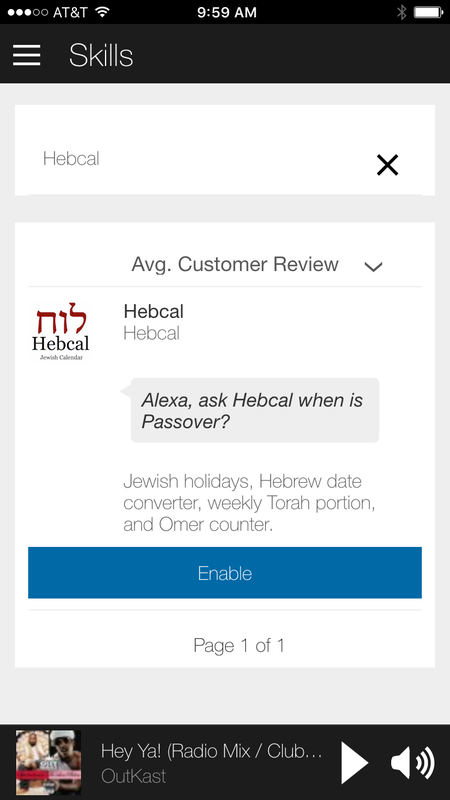 Alexa, ask Hebcal for today’s Hebrew date. Alexa, ask Hebcal for the Omer count. Alexa, ask Hebcal for Daf Yomi. Alexa, ask Hebcal to convert October 20th. Alexa, ask Hebcal when is Rosh Chodesh? Hebcal is pronounced HEEB-kal, as in HEBrew CALendar. Open the left navigation panel, and then select Skills. Scroll through the list of available skills. When you want to go to a different page, select Next or Previous at the bottom of the list. Tip: You can also use the Search bar to find a specific skill, or sort skills by title, average customer review, or release date. When you see a skill you want to use, select Enable. Look for new features in the coming months. We’re planning to add candle-lighting times for Shabbat and holidays, Daf Yomi, and more. Update March 2016 – these features are now available! If you have a suggestion for what you’d like to see in the Hebcal Alexa Skill, please share your feedback with us!